Fred Bowen is the author of 18 books for kids that combine sports fiction and sports history. Ideas for his stories are often drawn from his experiences as a youth sports coach for thirteen years, and from his time as a young athlete growing up in Marblehead, Massachusetts. Bowen also writes a weekly sports column for kids in The Washington Post. His column typically addresses issues important to both young athletes and their parents, including concussions and the odds of getting a college scholarship. Bowen lives in Silver Spring, Maryland, with his wife Peggy Jackson. Their son is the pitching coach and recruiting coordinator for the University of Maryland – Baltimore County (UMBC), and their daughter works for a non-profit in Chicago. 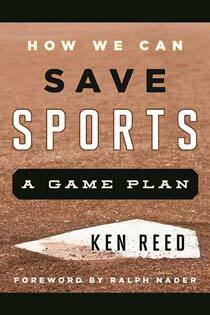 Ken Reed: How did the transition from a law career to writing children’s sports books come about? Fred Bowen: Well, while I was a lawyer, I was also coaching my kids’ youth sports teams. I was seeing all the youth sports issues right in front of me. My career switch was really a coming together of my experiences and interests — coaching, history, and sports. Everything kind of just fell in place at the right time and it felt right. In fact, it felt a lot better than litigating! Actually, a lot of lawyers are writers. There’s a lot of writing and reading in law. I think a lot of what you do as a lawyer — organizing a lot of material, research, presenting information in a digestible, easy-to-understand fashion — is actually not bad training for being a writer. When I was 25, I wanted to change the world. But I figured I needed a tool. It just took me awhile to realize that I’d chosen the wrong tool! Reed: It’s my contention that there’s too much adult in youth sports today. What’s your reaction to that position? I point out to parents that Ripken was an all-state soccer player in high school. Ripken was a big man for a shortstop but he could really move his feet. Soccer helped him with his footwork. San Francisco 49’ers quarterback, Colin Kaepernick, was not only a standout football player in high school; he was also an excellent basketball player. But people who saw him a lot in high school said his best sport was probably baseball. The American Academy of Pediatrics specifically says don’t specialize in youth sports. So, if kids specialize by focusing on playing a single sport year-round, they are doing so against doctors’ orders. And adults who allow specialization, or encourage it, are going against doctors’ orders as well. 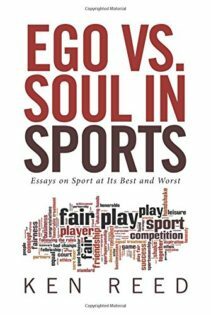 Reed: It seems like a lot of the problems in youth sports are related to parents’ overarching desire to get their kid an athletic scholarship. I had one mother do that and she found out that nobody had received an athletic scholarship at her son’s high school, in her son’s sport, in the last 10 years. So, I told her, in effect, she was betting that her kid was the best player to walk into that school in the last 10 years. She laughed and said her son wasn’t even the best player on his team. I told her she was being totally unrealistic about his chances of getting an athletic scholarship. And if he or she says lots of kids have, I’d respond by saying that I would like to see actual numbers. Once you get those numbers, you then have to determine what percentage were partial scholarships vs. full scholarships. That kind of exercise helps put things in perspective when it comes to scholarships. Reed: With all the specialization, competitive travel teams and pressure from parents and coaches, it doesn’t seem like kids are having as much fun playing sports these days. Surveys show that approximately 80% of kids drop out of youth sports by the time they’re 13 and the number one reason cited for quitting is “it’s not fun anymore.” What can we do to put the fun back in youth sports? Bowen: One of the things I’ve advocated is that we shouldn’t cut anybody in youth sports, at least until high school. Just make more room. Another thing is, I don’t think a kid’s sports season should extend past the professional season in that sport. Also, the size of teams should be smaller so kids can get more playing time. Playing time is a huge factor in whether or not a kid finds a sport fun. Just little things like that. For sure, the seasons are simply too long. These kids get burned out going virtually year-round in a sport. The more we can educate parents to have a realistic idea of what they’re trying to accomplish when they put their kid in youth sports – and the more we can help them be more realistic about things like college athletic scholarships — the better it will be for the kids, and the more fun they’ll have. Reed: I think the upward trend in overuse injuries in youth sports is disturbing. What are your thoughts on this topic? Bowen: It is disturbing. Some of what’s going on in youth sports borders on abuse by coaches — and parents, we really shouldn’t let the parents off the hook either. What parents don’t realize is that if your kid really has talent, that talent is going to be noticed. You don’t need to be constantly pushing your kids. Parents need to have realistic assessments about their kids and what coaches at the next level – whether that’s high school or college — are looking for. That type of perspective would be very helpful in dealing with almost all the issues in youth sports, including overuse injuries. Reed: Frank Deford recently wrote a column talking about overbearing youth sports coaches who yell and swear at kids. He wondered why, as a society, we allow such abusive behavior on the part of our youth sports coaches. He said we don’t allow teachers to get away with that type of behavior in the classroom, or directors of youth plays, or music teachers. So, he wondered, why do we let coaches get away with it? Bowen: Good point. Despite the stereotypes, more people need to realize that an awful lot of the best coaches are not screamers, they’re communicators. In fact, my son, who’s a college baseball coach, will tell you that he’s done away with yelling at players; and swearing. He says it interferes with communication. He believes the player you’re yelling at just closes down and the chance for meaningful communication is lost. Cal Ripken’s father had an interesting coaching technique. He said he would never talk to a player about a mistake during a game because players aren’t open at that time. They’re embarrassed, mad at themselves, and they’re not really listening. Instead, he’d talk to them the next day about it, when both coach and player are calmer and learning is more likely to take place. 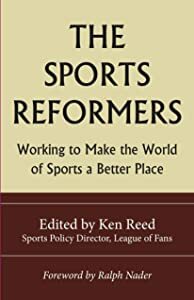 Reed: If we believe the traditionally-accepted thesis that sports are good for kids — for a variety of reasons, including wellness, especially in this era of childhood obesity — what can we do to get more kids participating in sports during their teen years and on into adulthood? Bowen: More intramural leagues would be great in high school. When I was in high school, we had an intramural soccer league after school. Some of the fondest high school memories for hundreds of kids from my school involve that intramural soccer league. Another thing more schools should think about is having a “no-cut” policy. A lot of good can come from that. For example, I know of a tennis program that gives equipment and a certain amount of assistance to high school teams that promise not to cut anybody. That doesn’t mean you’ll necessarily play in the matches but you’ll practice and you’ll play tennis. There are a lot of club sports opportunities for students in colleges. Club sports at the college level are growing. I think we should be looking at more of that in high school and middle school. Play a club sport, play rec ball, but find somewhere to play. The cultural attitude in this country needs to change. Instead of 20,000 people watching ten people play, why don’t we get 20,000 people playing? Reed: Well, to wrap up, any final comments as to where we are in this country when it comes to youth sports? I’ll leave you with one quote I use a lot: Listen, most kids who play rec sports aren’t going to play high school. Most kids who play high school aren’t going to play college. And almost nobody plays pros. But everyone is going to be a citizen, and if we’re not teaching young people how to be better citizens through sports then we’re pretty much missing the boat with youth sports.